Trendy straw beach bag in the color pink with print of a white star by Twenty Violets. This beach bag is perfect for a nice day at the beach and spacious enough for all your beach gear. This trendy spacious straw beach bag in the colors pink and white is indispensable in your summer collection this year and is key for a lovely day at the beach. 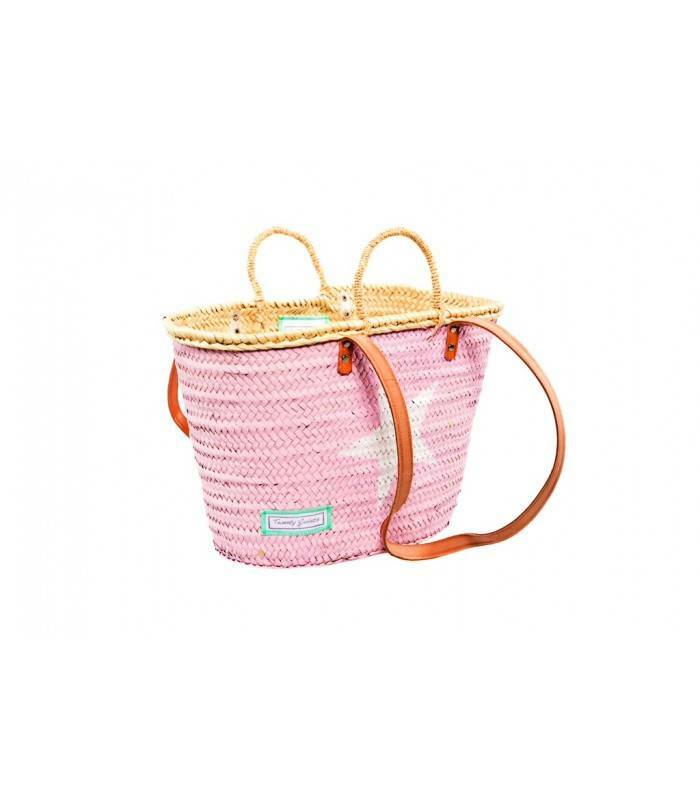 This beautiful beach bag is big enough for your beach towels and your beach essentials. 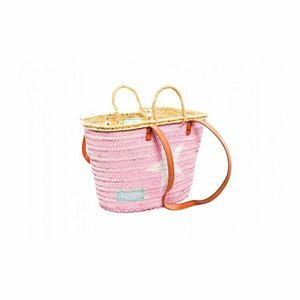 Of course, these straw bags also good to use for picnics and ideal as summer shopping bag! Twenty Violets is a Spanish brand from Barcelona. These beautiful beach bags are available in many bright summer colors with cool prints. Twenty Violets designs her straw beach bags in 4 sizes: Mini, Mini Maxi, Medium & Maxi. This Pink Star (Medium) beach bag has the dimensions 53cm x 30cm and has been designed in pink with a print of a star.